ABSTRACT: Restore the Earth Foundation, Inc. (REF) is a social investment partner for corporations that value the Earth’s natural resources. Founded in 2010, we are a global nongovernmental organization that deploys landscape-scale ecosystem restoration projects and measures and reports the impact. Our exclusive Shared Value Platform accounts, in monetary terms, for the social return on investment (SROI) – the combination of direct and indirect financial benefits – produced from our restoration projects. We provide corporations that are seeking to reduce their carbon footprint with the business case to engage in environmental sustainability projects that produce reductions in atmospheric carbon, along with water-borne nitrogen and phosphorous. The Shared Value Platform, designed to map with international standards of ecosystem restoration and integrated accounting, is an offer, a resource, a game changer, for corporations on the cusp of reinventing sustainability programs. For every $1 invested by our corporate partners, the Platform accounts for more than $9 in environmental, social, and economic returns. While a large portion of this return can be directly assigned to the funders in the form of carbon, nitrogen, and phosphorous mitigation credits; a significant portion of the return can be recognized as intangible assets on the funder’s balance sheet. We work closely with forward-thinking leaders of corporations, aligning the accomplishment of sustainability goals with growing operational revenue. Our purpose is to enable corporations to take action to restore our Earth. Thus, we provide the global business case for cleaner air, cleaner water, and community resiliency. Keywords: Environmental Sustainability, Global Partnership, Millennium Development Goals, Sustainable Development, Water, World, Private Institution, Partnership, Ecosystems, Restoration, Sustainable Development Goals, Global Goals, Corporate Social Responsibility, Impact Investment, Shared value, Social Impact, Social Return on Investment, Integrated Accounting, Business Case, Carbon Credits. The Millennium Ecosystem Assessment called the world’s attention to environmental valuation in 2000. It heightened urgency and argued for its relevance among other topics on the global agenda. The Millennium Ecosystem Assessment, initiated by United Nations Secretary-General Kofi Annan, demonstrated the critical need for investment in the sustainable use of ecosystem services. To meet growing consumption demand, humans have impacted ecosystems more rapidly and extensively since 1950 than in any comparable period in our history. Improving human living conditions has been achieved at a growing cost. The Earth’s ecosystems provide a myriad of benefits, called ecosystem services, including resources such as fuel, water, and timber, regulating services that affect climate, floods, disease, wastes, and water quality, cultural and aesthetic value, and supporting services such as soil formation, photosynthesis, and nutrient cycling. The quality of life for modern society is vitally dependent on the provisioning of ecosystem services and their degradation has a dramatic environmental, economic, and social impact. The Millennium Ecosystem Assessment accounted for the full spectrum of ecosystem services in which we conduct our personal and business lives. Approximately 60% of the ecosystem services assessed were being degraded or used unsustainably. The assessment reveals that, if those trends continue, freely available ecosystem services will cease to be available or will become more costly in the near future. Once these higher costs are internalized by industries such as extractives, agriculture, and utility, they will be passed downstream to the manufacturing and service industries, progressively increasing operating costs throughout the economy. Loss of ecosystem services will also affect the structural conditions within which businesses operate, influencing customer preference, stakeholder expectations, and government regulations and policies. The loss of ecosystem services is detrimental to quality of life and threatens the livelihoods of our future generations. Our ability to lead healthy, productive, and fulfilling lives is contingent upon our capacity to collectively protect and preserve our Earth’s ecosystem. Our food, shelter, clothing, access to clean air and clean water, and personal safety and security are all totally dependent on our natural resources and they are all in danger of irreparable destruction. According to the Millennium Ecosystem Assessment and global leaders, the private sector is in a position to be a very positive force in achieving a sustainable future. “Businesses’ engagement in voluntary actions to reduce their impact on Earth’s ecosystems can be an engine of positive change in two ways: it can be a source of new opportunities for business, and a means of preserving our natural assets for future generations,” states Jonathan Lash, President of World Resources Institute. By advancing new market opportunities, reducing operational footprints, and establishing effective partnerships, businesses can invest in their future and position themselves as forward-thinking market leaders. In restoring our Earth’s natural balance, businesses can follow natural self-interest and take the lead in improving human well-being and protecting the environment. Failure to keep pace with change risks competitive advantages, diminishes brand reputation, and reduces ability to compete in the future. The Millennium Development Goals (MDGs), passed in 2000, formed a blueprint for accomplishing what was regarded as comprehensive, sustainable developmental progress by 2015. A coalition of the world’s countries and leading development institutions agreed to a set of eight Goals, including Goal 7: Ensure Environmental Sustainability. Through partnership and tremendous effort, a great deal has been accomplished towards the MDGs. Net loss of forest has slowed in recent years, due to both a slight decrease in deforestation and an increase in afforestation and the expansion of natural forests. Emissions practices have led to dramatic improvements in air and water quality. Improvements in data collection and reporting have strengthened program implementation, tracked results more effectively, and improved accountability. There is still work to be done. Deforestation continues to jeopardize the livelihoods of millions. Unsustainable practices in resource management threaten human economic activity. The accelerating loss in biodiversity will have serious repercussions for the ecosystem services upon which the world relies at work and at home. The work accomplished towards the Millennium Development Goals, as well as the critical challenges that remain, set the stage for the adoption of the new Sustainable Development Goals (SDGs) at the United Nations Sustainable Development Summit in September 2015. This internationally-agreed upon set of actionable, specific targets builds on the MDGs and sets the sustainability agenda for the next 15 years. GOAL 11 – Sustainable Cities and Communities – Make cities and human settlements inclusive, safe, resilient, and sustainable. GOAL 12 – Responsible Consumption & Production – Ensure sustainable consumption and production patterns. GOAL 13 – Climate Action – Take urgent action to combat climate change and its impacts. GOAL 14 – Life Below Water – Conserve and sustainably use the oceans, seas, and marine resources for sustainable development. GOAL 15 – Life on Land – Protect, restore and promote sustainable use of terrestrial ecosystems, sustainably manage forests, combat desertification, and halt and reverse land degradation and halt biodiversity loss. REF’s founders have been working to build sustainable communities, position sustainable production as a part of business operations, slow and reverse climate change, preserve the aquatic food chain, protect coastal communities from natural disaster, and encourage and convene collaboration between sectors since 2008. The Sustainable Development Goals, also known as the Global Goals, provide a framework for collective action by assessing the progress the global community has already achieved, as well as looking forward towards achievable targets. The Goals similarly provide a useful yard stick for assessing the work of Restore the Earth Foundation, past, present, and future. Our work to support the SDGs naturally tells our story and demonstrates our unique approach to maximize impact. Restore the Earth Foundation’s founders Marv and PJ Marshall were attending the White House Conference on Conservation when Hurricane Katrina slammed southern states in August 2005. Survivors lost homes, businesses, friends, and family members, and were trying to put back together the pieces that were left of their lives. Along with the human loss and devastation, Hurricane Katrina had either destroyed or damaged over 320 million trees across five million acres along the Gulf Coast. The storm destroyed and degraded forest ecosystems, and with them the heart of environmental, social, and economic communities—and, a major part of the region’s cultural heritage. Together, Marv and PJ became a catalyst to mobilize, engage, and convene private sector knowledge and assets to help the area recover from the devastation in the wake of Katrina. Companies like Harrah’s and Entergy Corporation leveraged their expertise, resources, and employee volunteers. They commandeered trucks to haul off storm debris while local corporate volunteers cleared the way, filled and replaced lost soil, dug holes, planted trees, wrapped each tree in protective guards, and repeated the process again. They provided boots, bandanas, shovels, trucks, helicopters, boats, heavy equipment, walkie-talkies, and other gear along with cadres of employee volunteers. While providing a response to the disaster, these efforts restored natural storm protection and developed resiliency for the next storm, further helping community members protect their heritage, economic interests, and families. The results were extraordinary, and they didn’t stop there. When the Deepwater Horizon oil spill occurred in 2010, the surrounding area was ecologically devastated. REF was the first to deploy restoration on oil-soiled wetlands, again engaging a diverse set of stakeholders to respond quickly and support recovery. This work ultimately led to the founding of Restore the Earth Foundation, Inc. in 2010. Since its inception, REF has been committed to identifying opportunities to engage community members in restorations and locally source materials and expertise. Native seeds are collected within the geographic area of the restoration site, local nurseries are contracted to grow the trees, and the sites are monitored by nearby groups. These inclusion programs create jobs, keep funding local, and provide accessible green spaces for public benefit. Alongside volunteers from the public, corporate volunteers are actively involved in restoration projects. “Working with Restore the Earth gives corporate volunteer teams a real, meaningful opportunity to take a high-profile issue, restoring a critical environmental site, and really give back,” says Patty Riddlebarger, Director of Corporate Social Responsibility at Entergy Corporation. 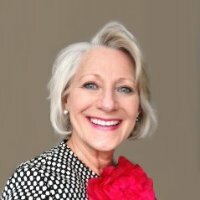 These partnerships for action empower forward-thinking corporate leaders to invest in the communities where their businesses operate and their employees live, advance their unique corporate social responsibility initiatives, and enable their enterprises to thrive. Our corporate partners join a network of collaborative stakeholders driven to restore our Earth’s natural balance. We offer meaningful opportunities to become fully invested in corporate social responsibility and sustainability initiatives, including employee engagement, corporate philanthropy, and investment packages. Working in close partnership with our corporate funders, REF has developed a deep understanding of the challenges facing corporations in committing to major investment in environmental restoration. REF has developed and applied unique market-based approaches to restore ecosystems on a large scale. Our corporate funding partners receive a full report that provides verifiable measurement and valuation of environmental, social and economic benefits, integrating sustainability information in their reporting to stakeholders and the public. By providing greater accountability of investment in environmental restoration projects, REF helps justify the case for minimizing adverse impacts on human health and the environment. Restore the Earth Foundation’s mission is to restore the Earth’s essential forest and wetland ecosystems. We envision the Earth in balance—its original vitality and natural abundance available to all, for generations to come. We are driven to create an environmentally sustainable future, and believe the best way to do so is by engaging a network of best-in-class partners. To achieve the greatest climate impact, REF has undertaken one of the largest landscape-scale restoration projects in North America: one million acres of critical land in the Mississippi River Basin, what we call North America’s Amazon. We work in partnership with the Lower Mississippi Valley Joint Venture (LMVJV), a consortium of federal and state agencies and NGOs coordinated by the U.S. Fish & Wildlife Service (USFWS), to mitigate and reverse the negative impacts of environmental degradation. The focus of this work is in the southernmost region of the Mississippi River Basin, the Mississippi Alluvial Valley, which drains into the Gulf of Mexico. The region is a large and diverse landscape, rich in culture and history. The natural resources support industries in Louisiana and millions of jobs nationwide, provide hundreds of thousands of acres of wildlife habitat and winter habitat for more than five million migratory waterfowl, and are the primary nursery for the food chain supplying the entire Caribbean Basin. The region supports more than half of America’s crude oil and natural gas, generates $2 billion in annual revenues from recreational hunting and fishing, and is home to approximately two million people. Climate change and diminishing ecosystem services have diminished the resiliency of the Mississippi River Basin ecosystem, threatening the livelihoods of those who live in the region and around the world. Significant investment is required to create a sustainable future for all species. REF’s founders have secured over $20 million in private, federal, and state funding to successfully restore more than 50,000 acres of forest along the Gulf Coast, providing over a million native trees and plants to restore this essential ecosystem back to natural balance. Our restorations maximize wetland forest conditions, reduce and reverse erosion, stabilize land mass, and provide storm protection. Using our exclusive EKOgrown™ tree-growing process, the projects contribute to flow and wind damage reduction, improving and restoring wildlife and fish habitat. Our interventions convert greenhouse gas (GHG) sources into long-term sustainable sinks of sequestered carbon, and mitigate greenhouse gas and nitrogen. Landscape-scale restoration of just one million acres in North America’s Amazon will offset the total U.S. climate footprint by 2% and begin to reverse the impact of the Dead Zone by 12.5%. The effects of these restoration efforts can be felt in communities around the Earth, and our innovative approach is a model with global scalability. REF is providing the global business case for corporations to combat climate change and integrate sustainability into business practice. By financially accounting for the full environmental, social, and economic value of ecosystem services, our Shared Value Platform enables corporate funders and impact investors to fully realize and continue their capital investment in our Earth. GOAL 14 – Life Below Water – Conserve and sustainably use the oceans, seas and marine resources for sustainable development. 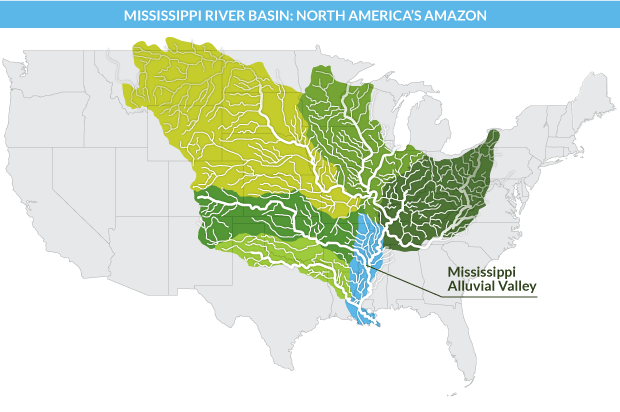 REF is currently working in the coastal regions of the Mississippi River Basin in Louisiana to restore a part of the one million acres that contain approximately 40 – 45% of the wetlands found in the continental U.S. Wetlands feed downstream waters, trap floodwaters, recharge groundwater, remove pollution, and provide fish and wildlife habitat. They provide the first line of defense to natural disaster and help control erosion. Wetlands are economic drivers of industry, agriculture, and recreation. These wetlands provide essential ecosystem services on an enormous scale, but they are being depleted at a rate of 25 – 35 square miles per year, a loss the size of one football field every hour. More than 100 million acres, or half of all wetlands in the U.S., have been lost since colonial times. As a result, the foundation of the region’s vibrant communities, wildlife habitats, and economy is in danger. GulfSaver™ Bags is an initiative of Restore the Earth Foundation that continues to have a significant benefit for wetland ecosystem restoration. The GulfSaver™ Bag creates a supportive environment for growth, such as adding nutrient rich biomass to the soil. These biodegradable, self-contained packages of native plants, each customized to planting sites, are engineered to create a supportive base for plant growth. GulfSaver™ Bags are highly successful and cost effective, allowing funders to stretch their investment in wetland ecosystem restoration. By deploying projects to sites in most critical need, Restore the Earth is significantly reducing marine debris and nutrient pollution. GOAL 15 – Life on Land – Protect, restore, and promote sustainable use of terrestrial ecosystems, sustainably manage forests, combat desertification, halt and reverse land degradation, and halt biodiversity loss. North America’s Amazon is home to some of America’s most iconic species, from the bald eagle and alligator to the bald cypress and water tupelo trees. The region is rich in a variety of habitats, including hardwood forests, cypress swamps, coastal marshes, estuaries, and barrier islands. These ecosystems are the heart, lungs, liver, and kidneys of the Earth and serve humanity as our nursery, pantry, factory, and storehouse. Forests purify water, anchor precious soil, and sequester carbon to create clean air. To most effectively restore these precious spaces, REF operates on a landscape-scale. Working with our partners, we restore large tracts of degraded land, knitting together a mosaic of existing core forest blocks. The restored land is integrated with adjacent productive working lands, restoring a wide range of ecosystems services with greater impact. The restored forest allows plant and animal species to thrive, migrate, and re-establish populations in the new forest blocks, extending the benefits of forest and ecosystem service restoration to neighboring communities and beyond. Landscape-scale restoration is the most efficient way to restore natural balance and reverse ecosystem degradation. REF uses the all-natural EKOgrown™ tree-growing process to produce high-performance trees, generate plants that have a higher survival rate, reach maturity more quickly, and sequester two-to-four times more carbon annually than trees grown and planted using conventional methodologies. Our interdependent world demands imperative, collaborative action to address the challenges created by global ecosystem degradation. Our inclusive approach of engaging a broad coalition of partners makes it possible for diverse, critical stakeholders to take action. REF’s partnership with Lower Mississippi Valley Joint Venture provides preferential access to prioritized sites for restoration and single-source alignment with key agencies for successful delivery of restoration and matching funding. As a result of this strategic partnership, every $1 of private funding invested unlocks $3 of public funding. Our even broader network of partners includes government agencies, nongovernmental organizations, universities, corporations, community-based organizations, foundations, and individuals who work together to bypass gridlock and do the work of restoration. REF is a participant and convener of forums and conferences, to share our unique approach and innovations while co-designing plans and custom solutions with decision-makers. As a bridge-builder and social investment partner, REF works across industries and sectors to further solutions for a sustainable future. Since Hurricane Katrina, our corporate partners and their employee volunteer teams have continued to work with us, side by side, to help bring environmental balance back to degraded areas. Unique in-the-mud volunteer experiences bring corporate sustainability and social responsibility initiatives to life, providing insights into environmental systems, natural resource management, local biodiversity, community history, and the local and global impact of restoration. In 2012, REF invested in the design and development of the Shared Value Platform. The Platform was developed by accessing accredited governmental, academic, and independent research in order to estimate the social costs of ecosystem degradation. The Platform captures the financial value produced via landscape-scale restoration activities which are large enough in size to have an impact on a whole ecosystem rather than just piecemeal portions, yet also require major capital investment to accomplish. Building on internationally accepted standards, REF is ensuring that corporate funders and impact investors will experience reliable, comparable, and measurable returns on their restoration investments. The REF Shared Value Platform is a real-time, digital version of the REF Shared Value model, providing a practical tool for tracking, measuring, monetizing and reporting on the full value of ecosystem services and environmental restoration. It makes the financially-based business case for corporate funders, and impact investors to contribute and invest in the landscape-scale ecosystem restoration projects necessary to create a sustainable future and resilient communities for generations to come. REF is presently working with an internationally recognized team of impact assessment specialists, public accountants, and specialists in the fields of remote imaging, big-data modeling, and integrated reporting. The values of ecosystem services that are created through REF’s restoration projects include Provisioning, Regulating, Habitat and Supporting, and Cultural. Forest restoration mitigates carbon emissions through the sequestration of carbon and by eliminating nitrogen and phosphorus runoff from sediment loss. This process restores and rebalances ecosystems and establishes healthy natural capital buffers. Married with the direct environmental impacts, the indirect co-benefits created include improved air and water quality and quantity, job training and creation of jobs, lessening of extreme weather patterns, storm protection, pest control, increased recreation and tourism through bird watching, hunting, and fishing, and the creation of new technology. Many of these outcomes have multiple benefits that cross dimensions. For example, job creation has an economic benefit as part of the greater economy, while providing a social benefit for individuals and families. The REF Shared Value Platform demonstrates that for every $1 invested, funders can account for more than $9 in environmental, social and economic returns. Additionally, REF applies third-party methodologies and protocols for verifying carbon credits at the highest global standards. We then register the credits on internationally recognized carbon registries, providing value within the full social return on investment of the project. Our Shared Value Platform measures the cross-cutting value for each outcome produced by ecosystem restoration, and reports on those outcomes in monetary terms. We provide a formal report to funders annually in a format that can be audited and accounted for as intangible assets on the funder’s balance sheet. This allows funders to take credit for carbon-offset and other environmental benefits produced, in perpetuity; and if desired, they can use the environmental offsets to mitigate the portion of their climate footprint that cannot be offset at source. We work closely with our corporate partners to enable the sustainability leaders within to utilize and share the report with company shareholders, consumers, and other stakeholders. If your corporation believes in a bottom-up, cost-effective approach to financing nature for positive impact, join us on our worldwide tour to debut the Shared Value Platform, launching in Paris at the United Nations Conference on Climate Change at the end of November 2015. REF envisions the Earth in balance – its original vitality and natural abundance available to all, for generations to come. Our mission is to restore the Earth’s essential forest and wetland ecosystems and we believe that life on Earth can only flourish sustainably when ecosystems are balanced. Millennium Ecosystem Assessment, 2005. Ecosystems and Human Well-being: Synthesis. Island Press, Washington, DC. Millennium Ecosystem Assessment, 2005. Ecosystems and Human Well-being: Opportunities and Challenges for Business and Industry. World Resources Institute, Washington, DC. “Millennium Development Goals”. United Nations Development Programme. Retrieved 14 October 2015. “Transforming our world: the 2030 Agenda for Sustainable Development”. United Nations – Sustainable Development knowledge platform. Retrieved 14 October 2015. Douglas J. Krieger, Ph.D., The Economic Value of Forest Ecosystems Services: A Re­view. The Wilderness Society, 2001. Deforestation and Greenhouse Gases. Con­gressional Budget Office, January 2012. Climate Change 2013: The Physical Science Basis, “Summary for Policymakers.” Intergovernmental Panel on Climate Change, September 2013. US Forest Resource Facts and Historical Trends 1952-2007. US Forest Service, 2010. Restoring a Forest Legacy at Grand Cote and Lake Ophelia National Wildlife Refuges. The Conservation Fund, 2010. Mississippi River Basin Healthy Watersheds Initiative. USDA Natural Resources Conserva­tion Service, 2010. Inventory of US Greenhouse Gas Emissions and Sinks: 1990–2011. United States Envi­ronmental Protection Agency, 2013. SROI Model for REF Restoration Fund, “Realistic Scenario.” SVT Group, 2013. Michael Liebreich, Bloomberg New Energy Finance Summit Keynote, April 2013. 2011 Carbon Dioxide Price Forecast. Syn­apse Energy Economics Inc., February 2011. This article was published on 5th December 2015, for the International VolunteerDay at Global Education Magazine.